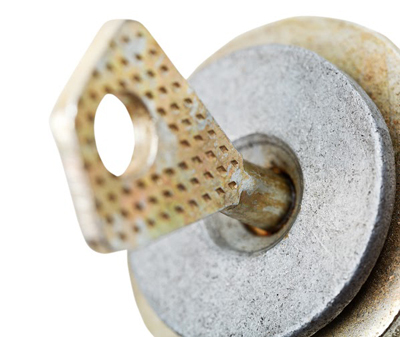 Blog | What to Do When the Key Breaks Inside the Lock? Most people can agree upon the fact that our houses’ safety systems are among the most important things to take care of. Without them, the safety of our homes and of our families can be endangered in many awful ways. Given the situation, it is perfectly understandable why the majority of the people will be happy to invest in safe doors and locks to keep the “strangers” out of their houses. And yet, no matter how expensive a system may be and no matter how much you maintain it, there will still be times when small repairs have to be made. When that happens, the best and safest thing to do is to call in the locksmith, of course. However, if you don’t want to do that, there are certain types of problems you can deal with on your own as well. Having a key break into the lock is one of these problems. * Get a pair of needle-nosed pliers and try to pull the broken key out. * If this doesn’t work, cut a coping saw blade and insert it into the keyhole with the teeth pointed outward. Try to “grip” the broken key this way by wiggling the saw blade into the keyhole. If you feel that you have managed to do this, pull out the broken key with the help of the saw blade. You should also know that there are also devices called “key extractors”. In principle, they work mostly like the coping saw blade method described above. You will have to insert the extractor into the keyhole with the teeth facing the broken key’s teeth and you will have to wiggle it a bit in there until it “grips” the broken key so that you can pull it out. Removing the cylinder is usually the last resort. If you do not know how to do this and if you want to be 100% certain everything is actually safe, call in a locksmith and tell him about your problem.